Damn! It's such a mess and I've cleaned just yesturd.. wait.. when did I actually clean it? And when should I do it again? Have you ever asked yourself those questions? Yes? Because we have got the answers! 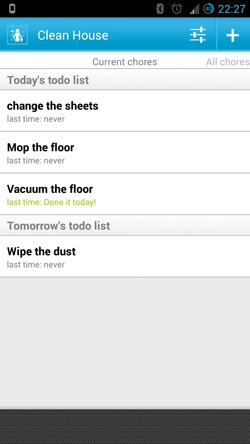 Clean House for Android! 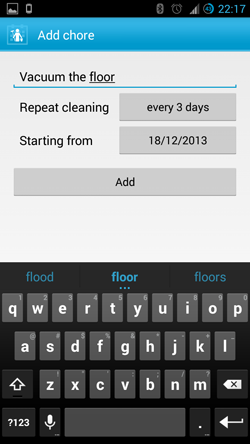 Clean House is one of those simple apps that can change your life. 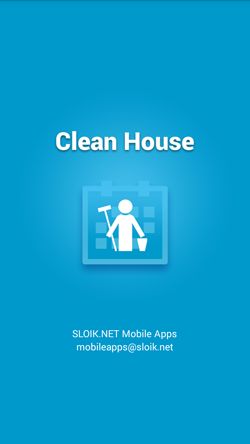 It won't gonna do all the work for you, but it can make your house chores much simplier. How? What if I told you that the key to keep your house clean is to prevent it from becoming dirty! "Thanks for nothing captain obvious" you might say... but what i mean is - don't clean your house when it is too late, because its simply hard. 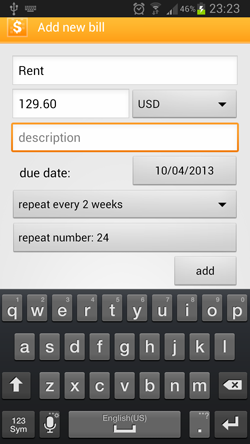 Keep it clean with household chore schedule, which tells you when to do fast and simple house chores. Search no more! 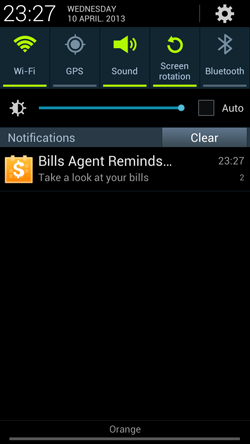 You have just found the best bills and payments reminder app for Android! 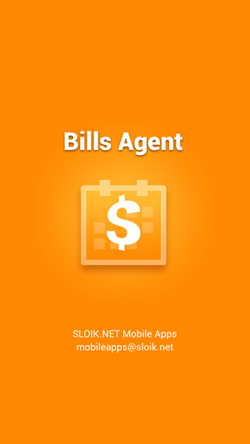 Bills Agent will help you to manage all kinds of bills, payments and fees. 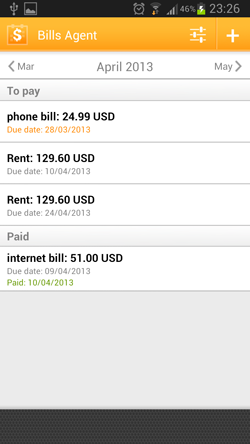 This app will remind you about due dates, and you will never be late with your bills again. It's simple, good looking and FREE!